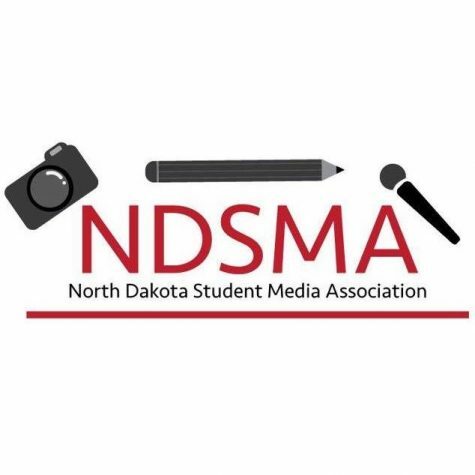 The North Dakota Student Media Association (NDSMA) was founded in 2016 to promote and protect student media in North Dakota and work closely with the North Dakota Newspaper Association. NDSMA’s purpose is to bring together students and faculty of both secondary and higher education to discuss the issues facing student media, present students the opportunity to have a voice in the statewide conversations dealing with student media, advocate and support student media and provide consistent journalism contests for both secondary and higher education students in the state of North Dakota. NDSMA has absorbed the functions of Northern Interscholastic Press Association for high school publications. NDSMA’s goal is to have every North Dakota student publication become a member. With more membership, there will be more potential for successful and productive student newspapers, yearbooks and literary magazines throughout the state. Any publication within a secondary or higher education institution within the state of North Dakota is eligible for membership. A membership lasts one school year and includes invitations to the fall workshop conference and spring competition. Membership dues are $50 per high school publication and $75 per college publication. Checks can be written to NDSMA, at 1435 Interstate Loop, Bismarck, ND 58503. Membership dues do not include contest entry fees for students and/or the publication.